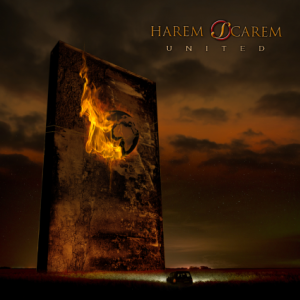 With sales of well over a million records in 43 countries and 12 top 40 hits around the globe, 2017 will see Harem Scarem return with their 14th studio album “United”. The album starts with it’s titular track “United”, a great piece guitar driven melodic rock. From then on, it’s filled with melodic rock goodness, as songs like “Here Today Gone Tomorrow, the very catchy “Heaven and Earth”, “Indestructible” and “No Regrets”. This album is full of trademark Harem Scarem songs. By that I mean this album is full of guitar driven songs, with great hooks and harmonies. Theres plenty of catchy songs that will get you singing along. The highlights here include the opener “United”, “No Regrets”, and the power ballad “One Of Life’s Mysteries”. Verdict: 8 out of 10. This is a pretty strong album, probably my favourite Harem Scarem release since “Weight Of The World.” Harry Hess sounds great throughout, and his musical partnership with Pete Lesperance sounds as good as ever. Be sure to check it out on May 12th, via Frontiers Music Srl. Currently confirmed tour dates are further down. Harry Hess lead vocals, guitar; Pete Lesperance lead guitar, Stan Miczek bass guitar, Darren Smith background vocals, Creighton Doane drums.